Move over campfires. This little brownie gets loaded with chocolate chips, topped with graham cracker crumbs, and we couldn’t forget the toasted mini-marshmallows! 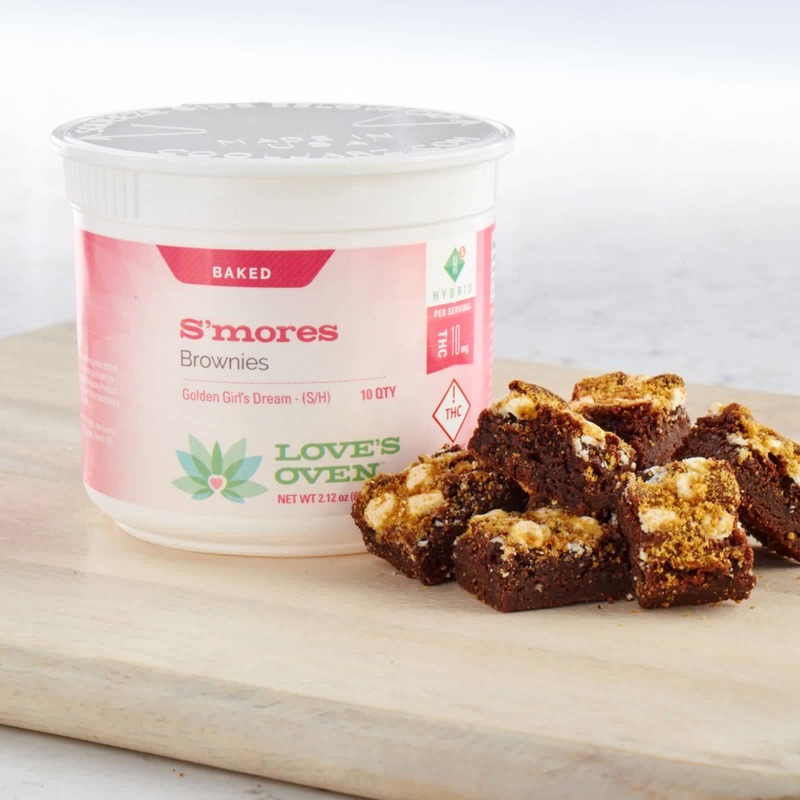 Contains Colorado beet sugar, graham cracker crumbs, mini chocolate chips, heat-activated cannabutter, eggs, marshmallows, pure vanilla extract. Also contains egg, wheat and dairy. Packaged as ten individual, 10mg active THC, bites. A moist, chocolaty, melt-in-your-mouth brownie topped with homemade caramel sauce and pecans. 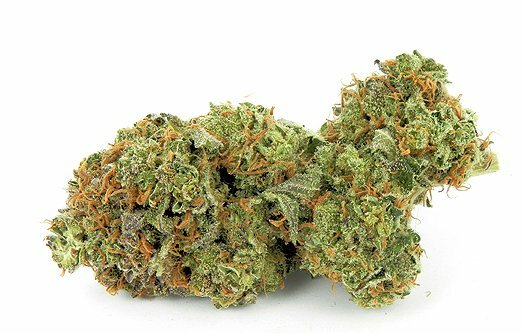 Always a best seller! 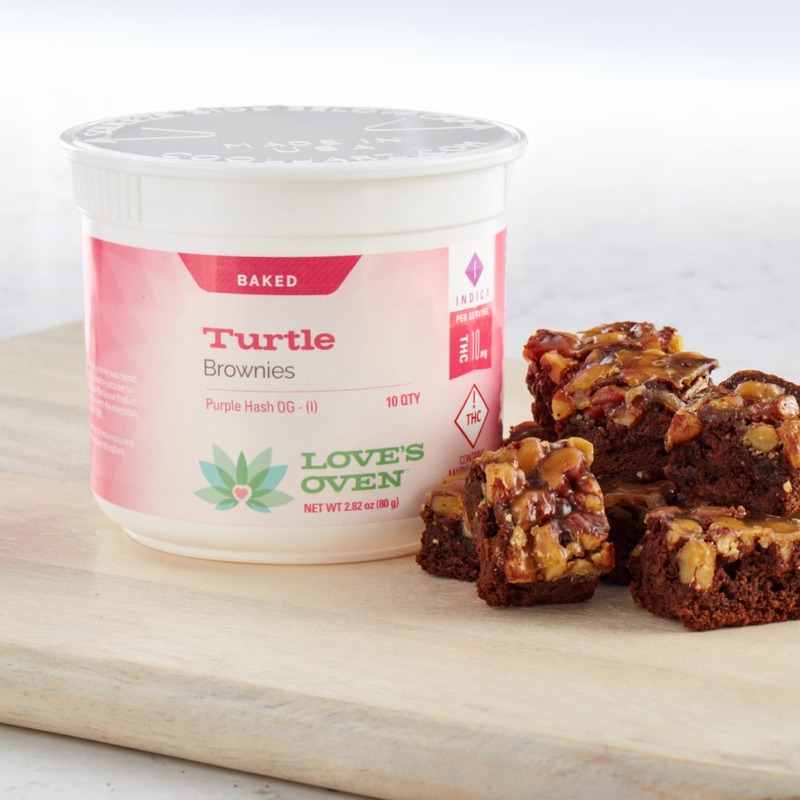 Contains caramel (Colorado beet sugar, corn syrup, heavy cream, pure vanilla extract), semisweet chocolate, colorado beet sugar, heat-activated cannabutter, eggs, white flour, pecans, organic cocoa powder, pure vanilla extract, salt, baking powder, instant coffee. Also contains egg, wheat, dairy and pecans. Packaged as ten individual, 10mg active THC, bites. Rich and gooey baklava layered on a sweet and crunchy cookie crust. Almost too good to be true, but we are glad it’s not. 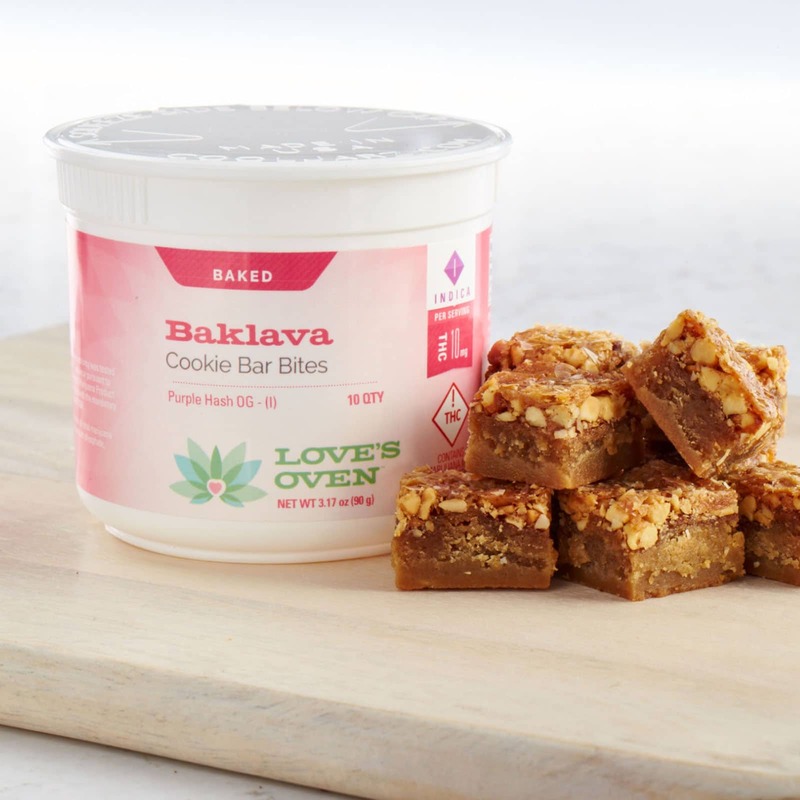 Contains flour, mixed nuts, Colorado beet sugar, heat-activated cannabutter, eggs, phyllo dough, honey, brown sugar, baking soda, pure vanilla extract, cinnamon, lemon juice. Also contains egg, wheat, dairy, cashews, almonds, brazil nuts, pecans, hazelnuts and peanuts. Packaged as ten individual, 10mg active THC, bites.